Remembers when Dau was the place to go for PX goods. 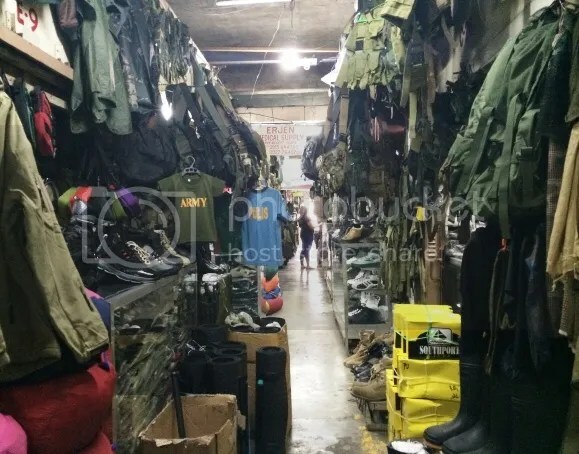 Because of its proximity to the US bases during that time, naturally, Dau was a shopping haven for anything and everything imported from the US. No trip to La Union or Baguio would be complete without first stopping over Dau. Even on the drive back, we would still stop over and to shop for toys, clothes, shoes, chocolates, candy, and look at the military gear that was also abundantly available there. What I would give to see photos of Dau during those years.